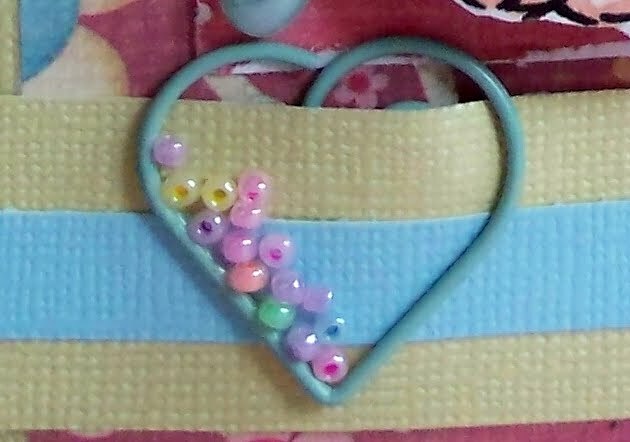 Detail of small beads glued inside the heart paper clip. Happy Thursday. 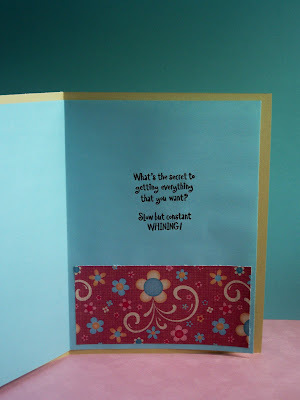 Today's card is for the Midnight Madness Sketch Challenge (MMSC56). The bear and bunny slippers are by Stamps by Judith. The inside sentiment is by Inky Antics. Paper is My Minds Eye Stack. I used the heart paper clips for trim and added some very small beads to each heart. I added petals to the circle to match the dp to look like a flower. Distressed the edges. What an awesome card, Sue!!! Love it - those hearts are darling, and your image is colored so sweetly! Thanks for sharing! Sue, this is downright ADORABLE!! I LOVE everything about it, from the image, to the sentiment on the inside, to those awesome bead filled hearts and the cute slippers. You did an excellent job on this week's Midnight Madness Sketch Challenge. I truly hope you'll join in on the fun for next week's sketch!! Love the beads in the heart! Super sweet card!! Image and cute cute sentiment as well! Love that bear! Sue if you have bear stamps...then I am coming to your house today and play!!! lol This is just precious...my heart melts every time I see a bear! How clever of you to use those circles around your focal point...that is pretty awesome. I like the little beads tucked in those heart paperclips too. This is just darling. What time should I arrive??? Great job with the sketch this week. Thank you so much for playing along with us at the Midnight Madness Sketch Challenge. 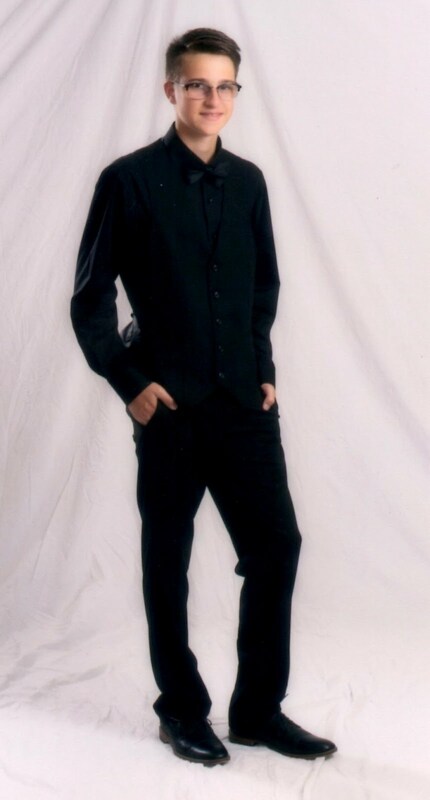 ooooh I love this beary cute guy! Wish I had a pair of slippers like that - sooo cute! 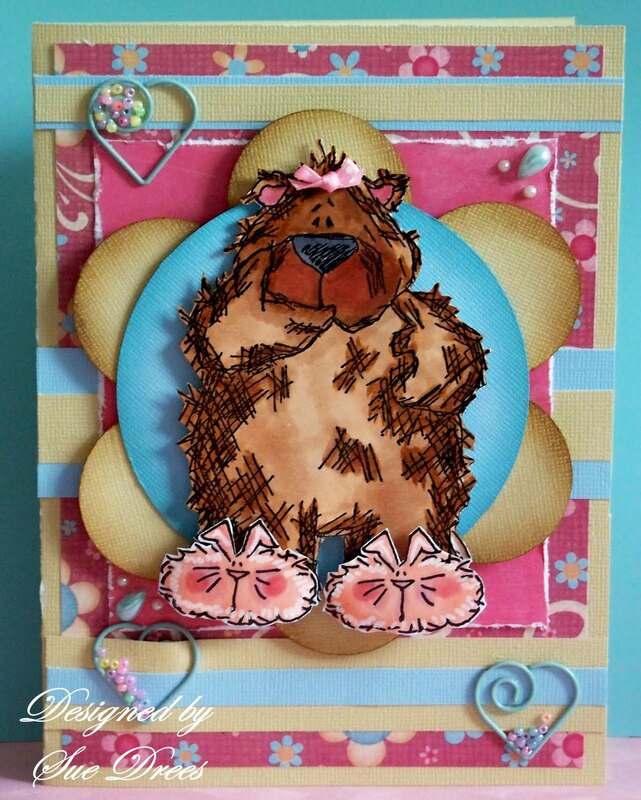 hi!love the bear!love your card! !and the little clip?the heart,ande the beads!!lovely! Sue, this is the best! The bear in the fluffy slippers is too cute and the sentiment...well what can I say....too funny!! Lovely touch with the little beads inside the heart. Awesome take on this weeks sketch! Thanks for the laugh! Keep em coming! 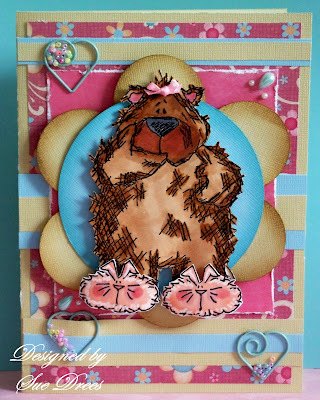 Sweet card -- your bear image is adorable! Thanks for participating in this week's Midnight Madness Sketch challenge and hope to see you again next week!